With the pending launch of a new inpatient psychiatric facility, and with a range of public initiatives taking form, Sonoma County officials are championing the quiet revival of a mental-health system that has been gutted over the years by budget cuts, exacerbating issues with homelessness and law enforcement violence. In Sonoma County, known the world over for its fine wines and spectacular scenery, 1,600 people were served by Psychiatric Emergency Services in the last six months, almost 400 of whom required transportation to longer-term care units in the counties of Marin, Napa and Sacramento, according to Sonoma County health director Mike Kennedy. Since the closing of Memorial Hospital's unit in 2008, Sonoma County hasn't had a long-term inpatient psychiatric facility, Kennedy says. That will change in the coming months, when Aurora Behavioral Health Care opens a 95-bed inpatient facility on Fulton Road in Santa Rosa, inside the same building where Memorial Hospital used to reside. An exact opening date has yet to be set. "One thing we know about mental health is that people need to be connected to their families and loved ones, and this is a great step forward," says Sonoma County supervisor Shirlee Zane of the facility. According to county health officials, the opening of the Aurora clinic, which will run in partnership with the county, as well as with local Kaiser Permanente hospitals, coincides with a broader county push to improve the mental-health system. Much of that has been propelled by the 2004 passage of Proposition 63, a 1 percent tax on millionaires, the proceeds of which are consecrated to mental-health initiatives. The money generated has helped counties like Sonoma rebound from decades of accumulated cuts to those services. According to Kennedy, recent county initiatives include the integration of mental-health services into all of the county's low-income health clinics; the expansion of voluntary treatment to prevent psychiatric emergencies (both through Santa Rosa–based center Interlink, as well as through contracts with private care providers like the Progress Foundation, which provides a 10-bed residential unit in Napa); and the employment of more thorough care plans, including follow-up home visits to patients newly released from psychiatric hospitals. Kennedy also said that health officials and the Sonoma County Sheriff's Department are collaborating to better prepare police for encounters with the mentally ill through training programs and the deployment of "mobile crisis units" in conjunction with traditional officers. The sheriff's department already has a multi-year-old crisis-intervention training program that instructs officers on how to better deal with unruly or erratic people who may not pose a lethal threat, according to a department spokesperson. For over a decade, local law enforcement has weathered heavy criticism for repeated instances of lethal—and, some allege, knee-jerk—responses to crises that many observers say called for more nuanced tactics. Health advocates say that improving the treatment of the mentally ill starts with a more empathetic approach. "The county has made some efforts toward providing care that's ethical and not dehumanizing, like the Interlink outpatient program, which is a great place. 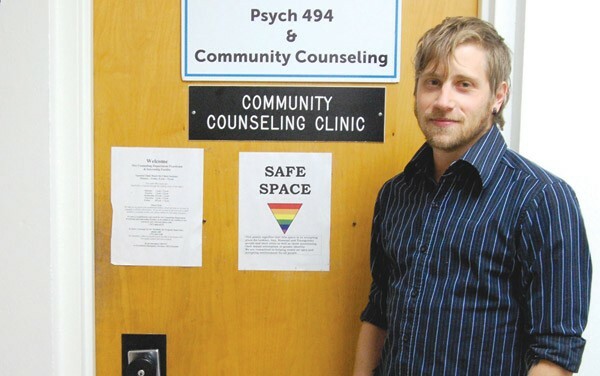 My understanding is that it's partly client-driven, and they have a say in how things are run," says Christopher Bowers, a counselor at the Sonoma State University Community Counseling Clinic, which university officials plan to close next month. Bowers says he was made acutely aware of the health system's often haphazard approach to mental care when his own private insurance carrier, Kaiser, informed him that his psychiatric coverage included a maximum of six group therapy sessions and no individual therapy. "It's endemic how we separate mental health from physical health, and don't give it the attention it deserves," Bowers says. "Dave" is a 33-year-old Santa Rosa resident who spent six years of his 20s in and out of local psychiatric wards, including Oakcrest in Santa Rosa, which no longer operates. Dave says patients were generally well cared for where he stayed, and that the medicine he received to treat his delusional paranoia helped him return to a functioning life. He adds that a crucial part of his recovery was having an outlet for self-expression, something certain facilities provided more than others. "Mostly, [psychiatric hospitals] create a stable environment until the drugs kick in," he said. "They don't usually do a lot of therapy. Sometimes they would have art programs, but it's like for two-year-olds, not really something you'll be proud of. I was inspired by a friend of mine who was doing real art and writing every day, and doing the necessary pieces for your intellectual exercise and overall well-being. That stuff saved me."